Multiple factors must be considered when choosing appropriate fitness tests. These factors need to be prioritized and may require certain compromises. Here are points to consider when devising a Fitness Battery. Practicality refers to affordability and portability of the equipment, as well as how easy the test is to construct, administer, score, and interpret. Finding a particular test protocol on a web site or seeing it on a YouTube video does not constitute test validity. Generally speaking, a field performance tests that emulate specific athletic activities will be more valid than tests that do not. Performance tests should attempt to match the mechanics, speed, and duration of the movement. Quadrant Jump has less validity for running athletic agility since the jumping movement pattern does not mimic running sports activities as well as running agility tests. Wall Squat Test assesses lower body static muscular endurance, very unlikely used in any sports except perhaps tug of war and possibly certain wrestling or judo holds. Other tests such as vertical jump, broad jump, sprint, and agility tests will have much higher correlation to lower body power and strength, and athleticism. See advantages and disadvantages of YMCA Sub Max Cycle Ergometer Test. It is the responsibility of the fitness professional to understand each test’s limitations and interpret the results appropriately with an understanding of these limitations. Historically considered the criterion method (ie gold standard) for body composition despite measuring it indirectly. Inaccurate with power athletes with high bone density since formulas assume a constant bone density. Possibly inaccurate with individuals with low bone density. Could overestimate body fat if more than the assumed 100 ml of gas is trapped in the gastrointestinal system. Indirect measurement of flexibility recorded as distance rather than degrees. Once a asymmetry or deficiency is detected through the FMS, more precise ROM assessments can pinpoint insufficiency. Specific inflexibility paired with other factors may contribute to increased risk of injury. However, greater flexibility may impair performance in sports that do not require a high degree of flexibility. Eliminate tests that do not practically distinguish good performers from poor performers. In-line Lunge of the Functional Movement Screening Assessment. Agility running test will utilize dynamic mobile balance, most specific to athleticism. Those with known vestibular disorders. Requires participant to be in a static position that is very rarely replicated in the demands of any daily or sport-related activities (Shinkle 2012). Core muscular contractions during nearly all athletic activities are typically dynamic, or last less than 1 second, far less time than what is being tested during the plank test. Static core stability will likely play a greater role in core conditioning exercises, push-ups, and weight lifts that they will in any particular sports activity. This is because most athletic activities utilize a more dynamic and quick contraction. Okada (2011) reported that core stability and FMS are not strong predictors of athletic performance. Direct testing for general reaction are very rarely included in athletic fitness or health fitness batteries. One test in particular, the Sherpell Reactive Agility Test, measures reaction time and accuracy of decision through the use of a high speed camera. Sports specific tests involving a reaction component can be implemented after the athlete has had an opportunity to practice the sports skill. Requires participants to juggle wooden wand using a wooden wand in each hand. Scoring is achieved by attempting to perform half and full flips 5 times each. Ratings provided based on total score. Studies examining validity of 'general' coordination to specific motor skills are lacking. Sports or activity specific motor skills may be a more meaningful indicator of coordination. Assess after the participant has had adequate training on the fundamentals of the sports task or activity. Combine motor skill with actual running through coarse, field, or court. Requires participants to keep control of the soccer ball as they run down the course. Different sports and different positions within a sport require varying degrees of peripheral awareness versus focus. This implies that even if a general test suggests a particular level of peripheral awareness, that this level of awareness will not necessarily manifest itself during the actual sporting event. Peripheral Awareness is a function of vision, understanding of what are important cues in sports, ability to managing arousal levels, and concentration and attention control skill. Performing more than one test that measures the same fitness component generally will not reveal any additional information. Sessions will take more time than necessary. 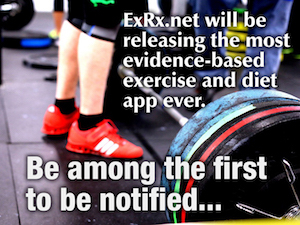 particularly if performing tests will low validity and/or the same fitness component with multiple tests. Avoid a shotgun approach in selecting your test battery. “Not sure which test is best so I’ll do then all”. Adopt a ‘less is more’ mentality. Identify best tests based on Fitness Test Selection Criteria (above). Choose only one test for each fitness component to improve time efficiency and reliability of test results. Choose between Vertical Jump and Broad Jump since they both test for leg power. Vertical jump height and standing long jump distance have been found to be highly correlated in female (Mayhew & Salm 1990, Mayhew 1994) and male (Glencross 1966, Beckenholdt & Mathew 1983, Manning 1988, Seiler 1990) college age students. Quadrant Jump has less validity for athletic agility since movement pattern does not mimic most sports activities as well as other agility tests. Allow for adequate recovery between maximum effort tests. After maximum performance Creatine phosphate recovery may take 4 minutes to replete between maximal bouts (Trembblay 1994). Consider at least 5 minutes recovery to account for participants who may take longer to recover. Avoid the temptation to choose a testing protocol primarily to impress your participants with the latest tech at the expense of validity. Tech based testing protocols do not necessarily offer additional testing accuracy. Bioelectrical impedance (hand to hand terminals) is not superior to 3 site skinfold measurements. Caution should be exercised when using bioelectrical impedance (foot to foot terminals) based on maufacturer's equations with young adults. "Fitness practitioners who measure their clients’ bodyfat may be likely to pick up the most readily available BIA instrument, believing it to be accurate, and this may not be the case." Adams J, Mottola M, Bagnall KM, McFadden KD (1982). Total body fat content in a group of professional football players. Can J Appl Sport Sci. 7(1):36-40. Australian Institute of Sports (2013). Physiological Tests for Elite Athletes, pg 242, 243. Bompa T, Carrera M (2015). Conditioning for Young Athletes, 263-264. Corbin CB, Lindsey R (1994). Concepts of Fitness & Wellness, 181. Fleck SJ, Kraemer WJ (2014). Designing Resistance Training Programs, 9. Hands B, Licari M, Piek J (2015). A review of five tests to identify motor coordination difficulties in young adults. Res Dev Diabli. 41-42:40-51. Jackson AS, Pollock ML, Graves JE, Mahar MT. Reliability and validity of bioelectrical impedance in determining body composition. J Appl Physiol (1985). 64(2):529-34. Lockie RG, Schultz AB, Callaghan SJ, Jordan CA, Luczo TM, Jeffriess MD (2015). A preliminary investigation into the relationship between functional movement screen scores and athletic physical performance in female team sport athletes. Biol Sport. 32(1): 41–51. Minkler S & Patterson P (1994) The validity of the modified sit-and-reach test in college-age students. Research Quarterly for Exercise and Sport. 65, 189-192. Odom MJ, Lee YM, Zuckerman SL, Apple RP, Germanos T, Solomon GS, Sills AK (2016). Balance Assessment in Sports-Related Concussion: Evaluating Test-Retest Reliability of the Equilibrate System. J Surg Orthop Adv. 25(2):93-8. Okada T, Huxel KC, Nesser TW (2011) Relationship between core stability, functional movement, and performance. J Strength Cond Res. 25(1):252-61. Reiman MP, Manskey RC (2009) Functional Testing in Human Performance. 194. Rutherford, W. J.; Diemer, Gary A.; Scott, Eric D (2011). Comparison of Bioelectrical Impedance and Skinfolds with Hydrodensitometry in the Assessment of Body Composition in Healthy Young Adults. ICHPER-SD Journal of Research, 6(2):56-60. Shinkle J, Nesser TW, Demchak TJ, McMannus DM (2012) Effect of core strength on the measure of power in the extremities. J Strength Cond Res. 26(2):373-80. Stewart PF, Turner AN, Miller (2012). Reliability, factorial validity, and interrelationships of five commonly used change of direction speed tests. Scand J Med Sci Sports. 24(3):500-6. Sun G, French CR, Martin GR, Younghusband B, Green RC, Xie YG, Mathews M, Barron JR, Fitzpatrick DG, Gulliver W, Zhang H (2005). Comparison of multifrequency bioelectrical impedance analysis with dual-energy X-ray absorptiometry for assessment of percentage body fat in a large, healthy population. American Journal of Clinical Nutrition. 81(1), 74-78.